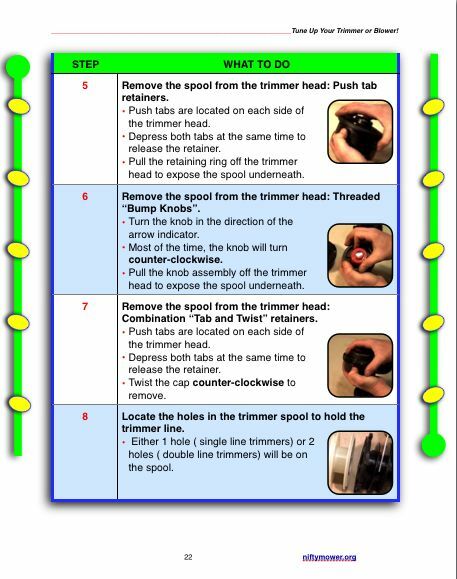 Tune Up Your trimmer or blower! Step by step instructions written for the beginner. Loads of full color photographs. What could be easier? Who has time to wait weeks for an expensive lawn mower tune up? Do it yourself to save time and money! Hey, we know times are tough, but the lawn still needs to be trimmed! To help out in your time of need, feel free to download a PDF copy of the book. Donate what you can afford. What could be better? 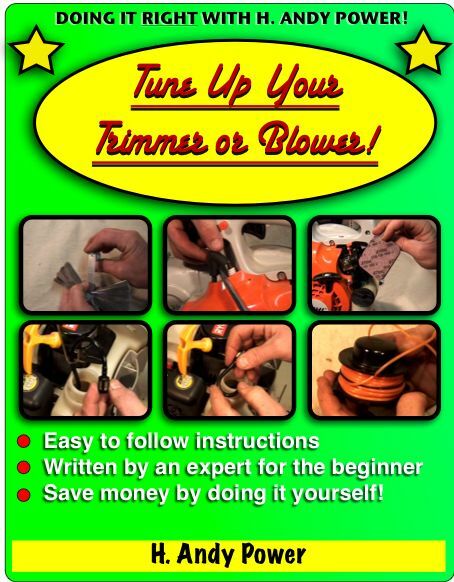 CLICK HERE TO DOWNLOAD "TUNE UP YOUR STRING TRIMMER OR LEAF BLOWER!" Adobe Reader is required. A free download is available. All of our books are in easy to use PDF format. 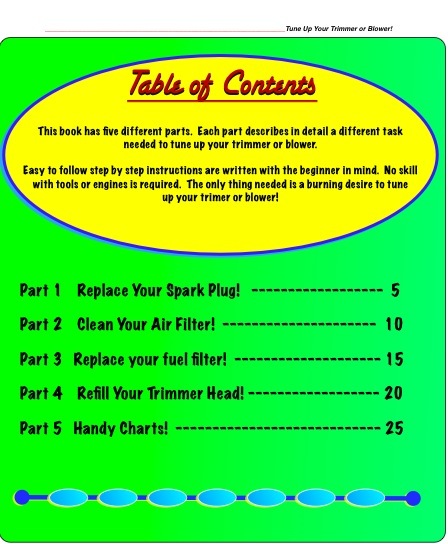 Download the electronic book today, and feel like a pro in the repair shop by tomorrow. This electronic book will download to your computer in the form of a printable PDF document once payment is received. The book is full of photos to help explain the step by step instructions. This means the file is rather large (about 24MB in size).